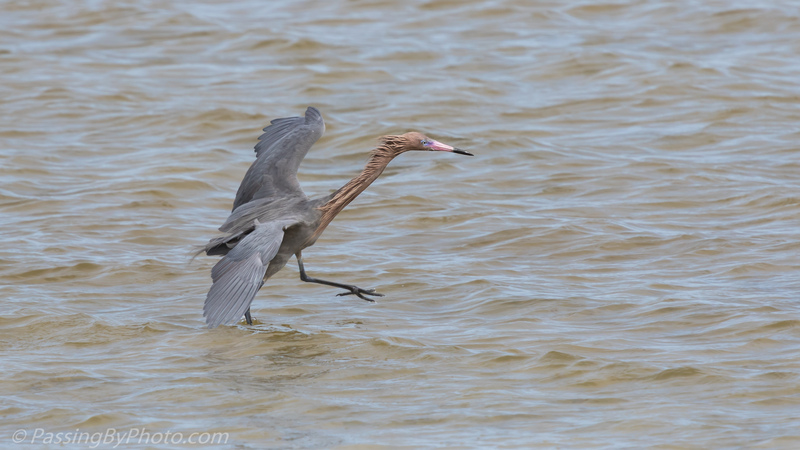 This Reddish Egret was much more reserved in his fishing maneuvers than the one I saw doing the jump moves. 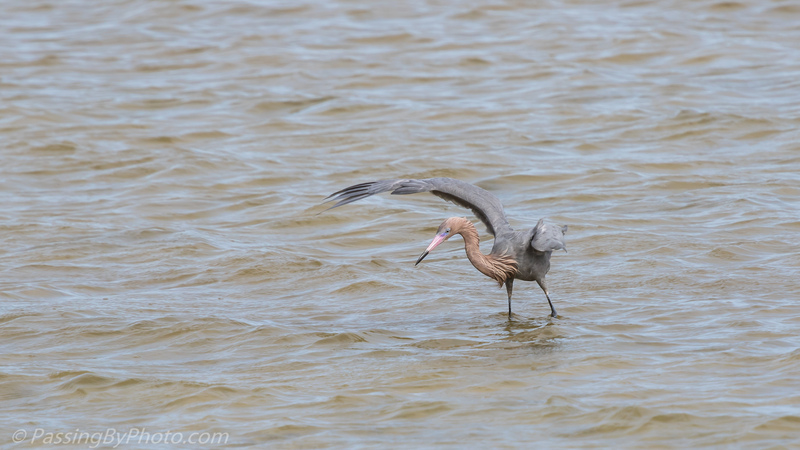 I didn’t see any air moves but he did perform the extended strut, wading at a fast pace for as much as a hundred feet, before turning. I couldn’t see what was making him change his path; he just seemed to be on a mission to get from point A to point B. When he did stop he raised one or both wings to shade the water looking for food. …nothing! 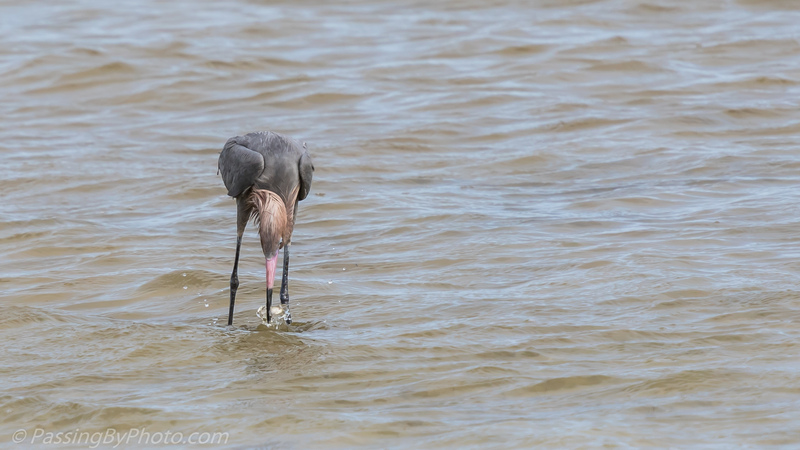 But I could really see his beautiful striped beak as he picked out his next prey. 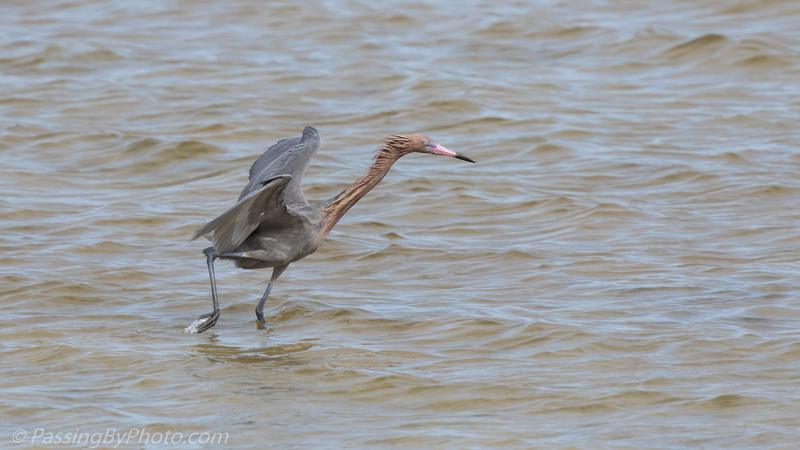 Eventually he got a tiny fish, then started the strut over again. Thanks, Tina! 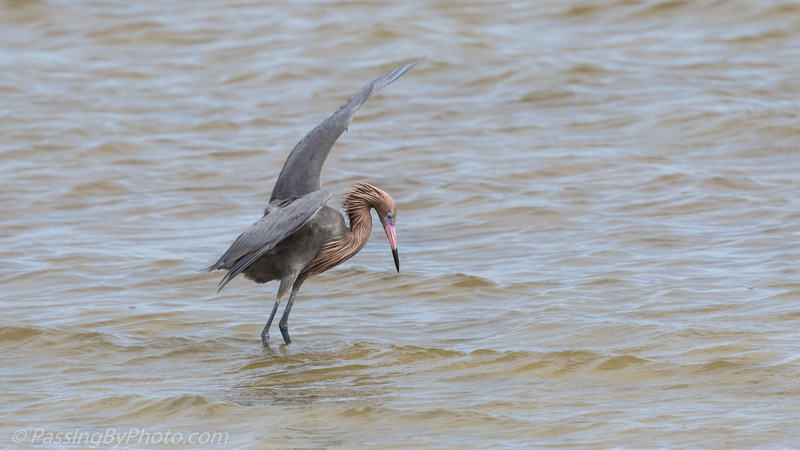 I think all the wading birds use their wings that way to some extent. Lovely shots. 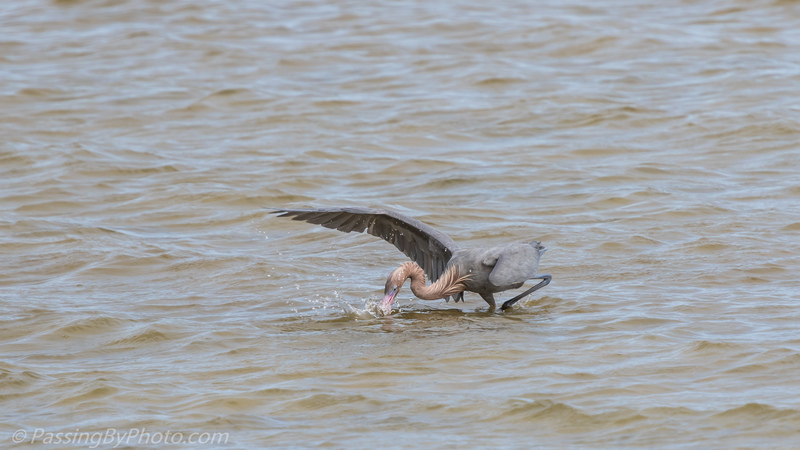 It’s nice to view the behaviour of other large herons, we only see the Great Blues here during the warmer months. Thanks, Belinda! They all are interesting and I’m still amazed at how elegantly they can fly given their ungainly looking structure.